Brady appeared to be vulnerable after a narrow second-game escape against countryman Charly Shanks in Wednesday’s quarterfinals, while Robbie “The Buzzsaw” McCarthy survived match point in his quarterfinal clash against Sean Lenning. McCarthy boldly stated that he came to Canada to beat Paul Brady and win the world championship, but Paul Brady proved that predicting a title and actually winning a title are often completely different entities. Brady and McCarthy played even through the first nine points of game one, with McCarthy calling his first timeout at 4-5. Following the first timeout, Brady raced to a 17-8 lead, scoring 12 of 16 points to take control of game one with one-inch high kills and perfectly struck pass shots. Brady would close out game one, 21-12. Brady continued his stellar play in game two, scoring the first 16 points before McCarthy could earn his first point. Brady would cruise to the final, 21-12, 21-7. 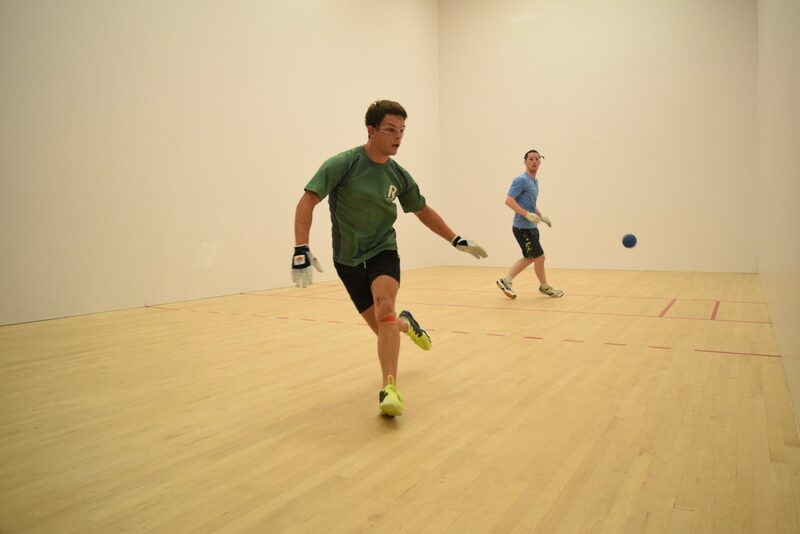 Killian Carroll escaped a quarterfinal thriller against R48 #1 Luis Moreno to advance to the semifinals, while Diarmaid Nash was clinical in his two-game sweep of R48 #3 Emmett Peixoto. Carroll and Nash traded kill shots and errors in the first half of game one, reaching a 12-all tie 30 minutes into the match. Carroll took control in game one’s second half, eliminating his errors and executing several left-handed re kills to score nine of the final 10 points of the game and take a one-game advantage, 21-13. Carroll maintained his momentum in game two, cruising to a 14-7 lead and seemingly just minutes from earning his spot in the final. Nash raised his level, erasing the deficit and ultimately taking the lead at 17-15 with spectacular right-hand and left-hand re kills, as well as capitalizing on several Carroll errors. With the score tied at 19 with Nash serving, “D” failed to convert a right-hand fly kill, handing Carroll the serve. Carroll executed a perfect reverse-hop left-hand pass to score the 20th point and hit a perfect deep two-wall pass to win the match, 21-13, 21-19. 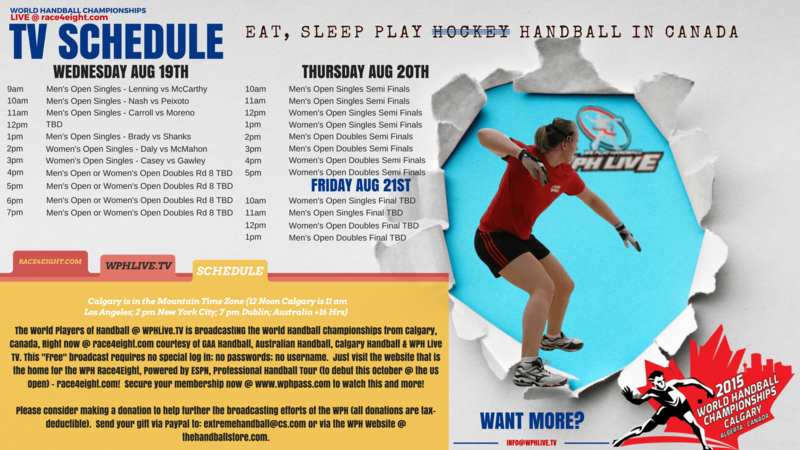 Women’s Semifinals, from the World Handball Championships, on Thursday, continue with the upper bracket match up. Defending world champion Aisling Reilly and WR48 NYAC ’14 finalist Ciana Ni Churraoin met for the first time in the first women’s semifinal match in Calgary, with Reilly aiming to repeat her spectacular 2012 victory at the world championships and CNC aiming to make her breakthrough on the world stage. Reilly and CNC traded powerful drives mixed with spectacular kills in their two-game battle, but Reilly’s experience was too much for CNC, as the defending world champion cruised in identical 21-9 games. 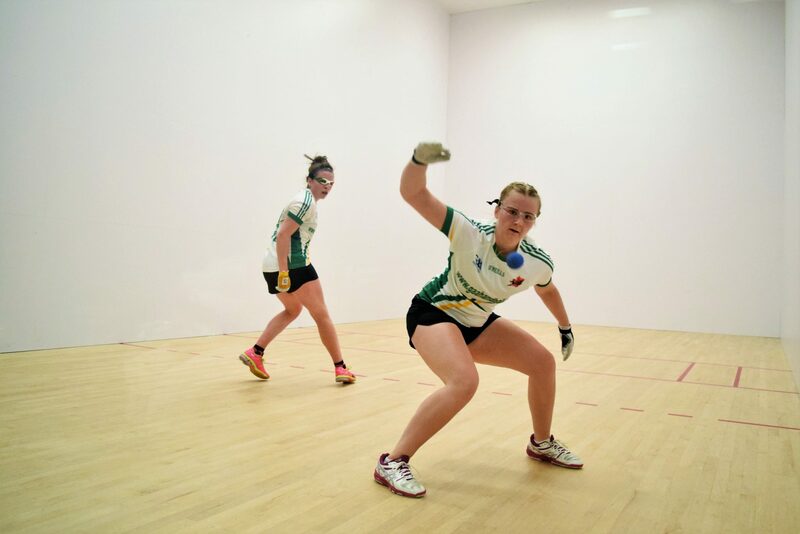 Catriona Casey faced Martina McMahon for the first time since their collegiate national encounter two years ago in the second women’s semifinal of the day in Calgary. The two played evenly throughout the first ten minutes of game one, with Casey leading 5-4. Casey would take advantage of a tiring McMahon in the second half of game one, capitalizing on 2M’s errors and executing kill shots with both hands to grab a one-game lead, 21-11. 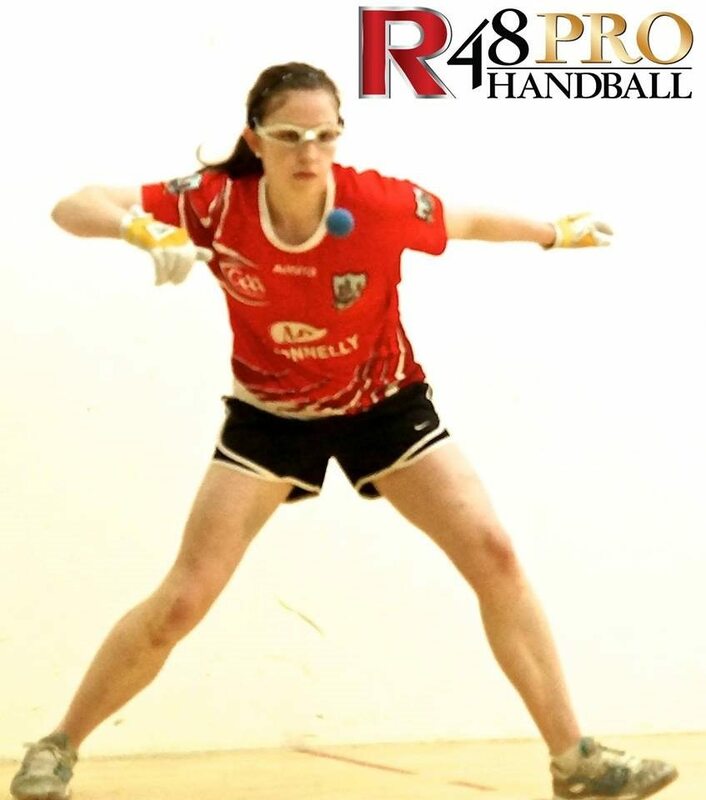 The second game produced the most exciting handball in the women’s draw, and the WR48 #1 and the WR48 Breakout Star traded the lead five times in a 54-minute duel. McMahon led 10-7 before Casey seized control with outstanding re kills and ace serves, ultimately taking a commanding 20-13 lead. Fighting through exhaustion. McMahon rallied by scoring four consecutive points, but a misplayed short-hop at 17-20 earned Casey the side out. Casey clinched the game and her first spot in the world championship final on her fifth attempt, 21-11, 21-17. Watch all the action as it unfolds from Calgary, Alberta, Canada LIVE at www.race4eight.com. We will be back in action for the Men’s Open Semifinals and Women’s Semis of both singles and doubles on Thursday, August 20th.